FDMK is strictly a fan site and is not affiliated with Warner Bros., NetherRealm Studios, or DC Comics, in any way. FDMK does not claim to represent Warner Bros., NetherRealm Studios, or DC Comics and is simply a resource for Mortal Kombat information and/or multimedia. FDMK is not supported, nor endorsed by Warner Bros., NetherRealm Studios, or DC Comics and/or its stock holders. The IP address of each individual to visit FDMK is automatically logged. In addition, FDMK also collects the email address of those individuals who voluntarily register to participate on the site's message forums. This information is collected exclusively for accurate site traffic recording and for contacting members, should need be. At no time is this information shared with other organizations, groups, or individuals for personal or commercial purposes. FDMK also makes use of a technology called cookies. A Cookie is essentially a small text file that is written to the user's computer and is accessed by the site each time said user visits. Information stored in these cookies may include forum preferences, profile settings, last visit, etc. As mentioned above, FDMK features a message forum available to those who voluntarily register. Please be aware that profile information, posted messages, and/or any statements made in the forum are viewable by the public. Please use caution when disclosing any personal information about yourself. This may include your real name, phone number, home address, school, etc. Registered forum members also have the option in their profile settings to prevent others from viewing their email address provided upon registration. Occasionally, kontests are held on FDMK, and the grand prize for winning may be a physical item or items. If you are the winner of a kontest in which the grand prize is an actual physical item, you will need to provide the webmaster of FDMK with your full name and mailing address in order to claim your prize. This information will be used solely for shipping purposes only, and at no time will this information ever be shared with any other organizations, groups, or individuals for personal or commercial purposes. Thanks to NetherRealm Studios for everything they provide to FDMK. A huge thanks to the great folks that were at Midway Media Relations for sending FDMK exclusive screenshots, video, and information, as well as providing some great items for kontest prizes! A big thanks to the folks over at Mortal Kombat Warehouse for years worth of kontent ripped from Mortal Kombat games! Especially bios, endings, and fonts! Special thanks to the The Annals of Mortal Kombat, which unfortunatly isn't around anymore, for all the awesome Mortal Kombat information, and for inspiring the encyclopedia theme of FDMK. 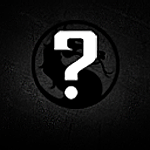 Also a big thanks to all of FDMK's affiliate websites for helping build our Mortal Kombat online kommunity!